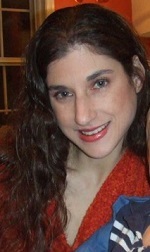 Hava Rachel Leichtman, 43, of Farmington Hills, Michigan, died on 11 April 2019. The Funeral was held at IRA KAUFMAN CHAPEL on Monday, 15 April 2019 at 12:00 PM . Rabbi Marla Hornsten and Cantor Neil Michaels officiated.